After spending 3 nights in the small T-Breeze Beach coastal resort near Moalboal, we were heading back to Cebu City. 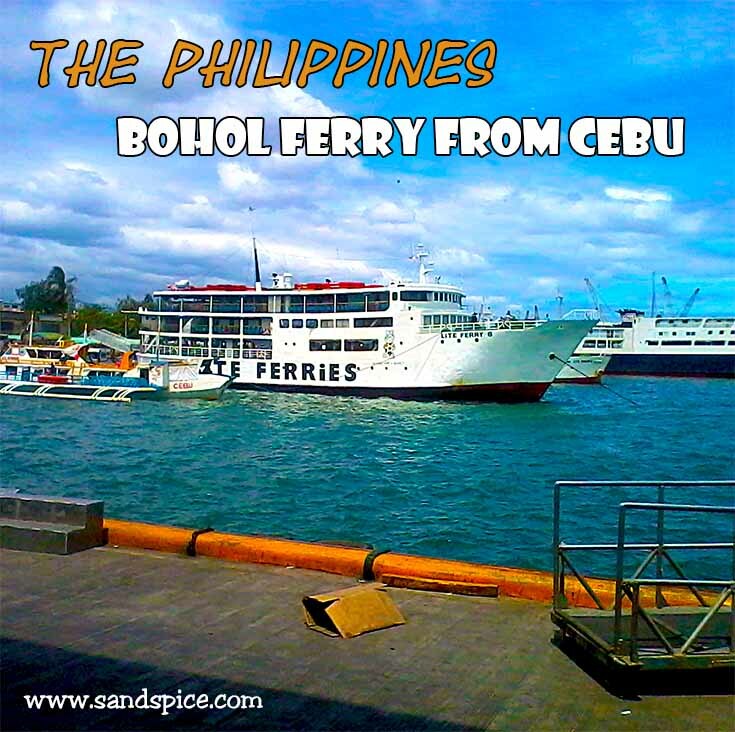 We would take the Bohol ferry from Cebu over to Tubigon in Bohol, then travel on to our next destination in Pangangan. 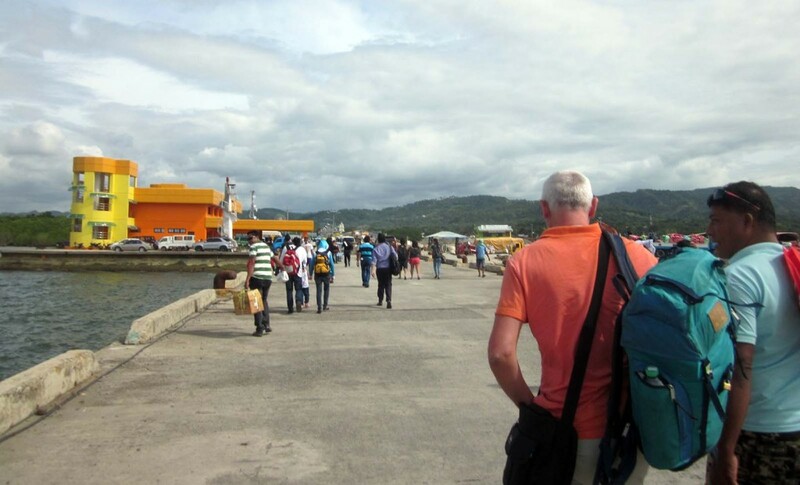 Early in the morning, we got to the bus stop in Moalboal, and waited for one of the yellow air-conditioned buses to pass through on its way to Cebu City. We didn’t wait long, and the bus was half empty when it arrived (260 peso fare). 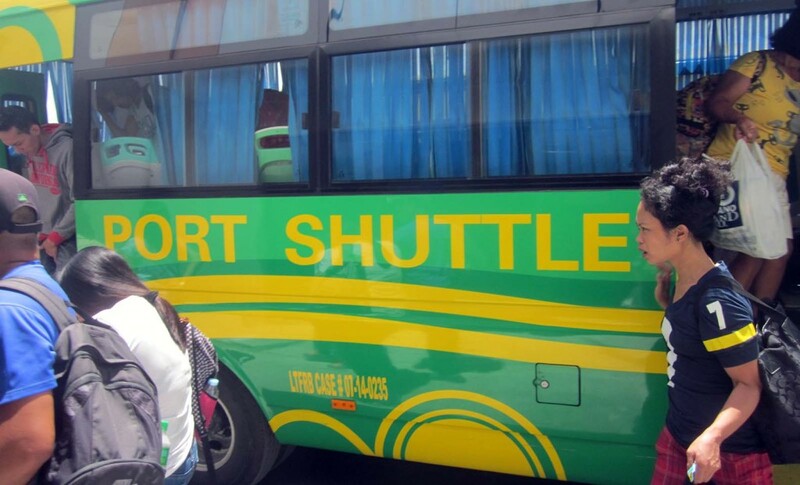 It was around a 3-hour trip to the Southern bus terminal in Cebu City, with fewer stops than the standard red buses. They also had an impromptu potty stop after an hour: But this was in a field in full view of the bus, so no use for the ladies on board. We took a taxi from the bus terminal to Pier 1 (65 pesos). 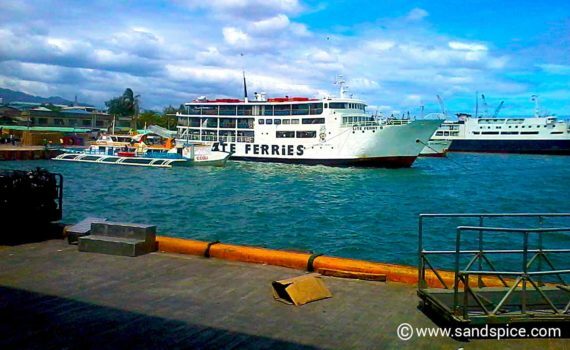 A taxi for the whole trip from Moalboal to the Pier in Cebu would cost 1200 pesos. We had to buy tickets outside the ferry terminal, The Starcraft ticket office is on the lefthand side as you arrive. Its a bit grotty, and the departure times seem to be ‘flexible’ but they run a regular service. On the other hand, the departure lounge is impressively clean and modern: well organized with plenty of security. 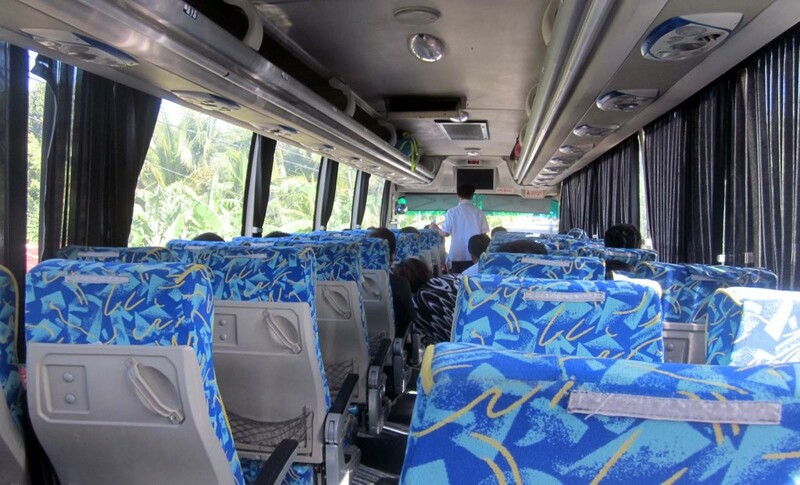 We paid 260 pesos each for the trip over to Tubigon (business class fare). 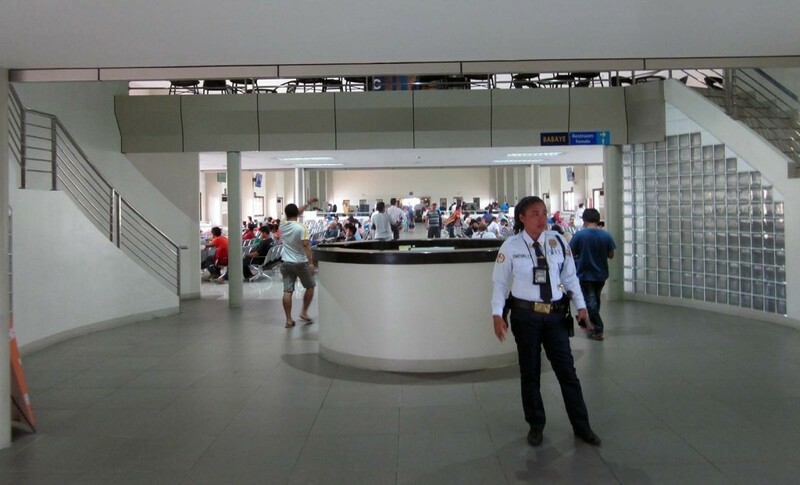 There is also a 25 peso terminal fee to pay before entering. After a short wait, a shuttle bus tool us to our ferryboat. 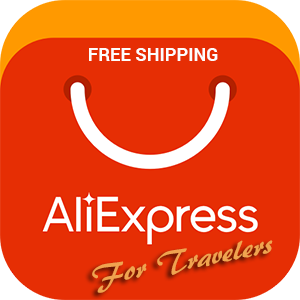 The whole procedure is arranged like boarding a flight. The trip over was smooth and comfortable, with snacks available and an action film running on the TV screens. 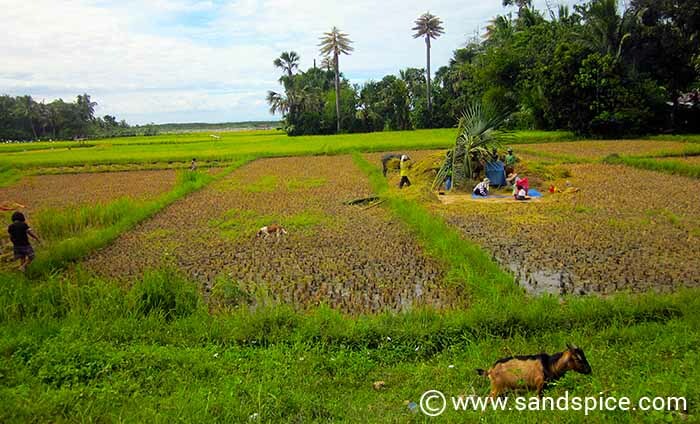 We arrived at Tubigon about one hour later. Our final destination was the Isla Hayahay Resort on Pangangan island, about 16 km from Tubigon. The resort had offered us a ‘pickup’ from Tubigon for 850 pesos, which we’d declined as being a little excessive. On the ferry, we met a guy who offered to drive us there for 700 pesos. However, when we got off the ferry at Tubigon we found a motorized tricycle who took us directly to the resort for 300 pesos. This trip took about 35 mins over good new roads. 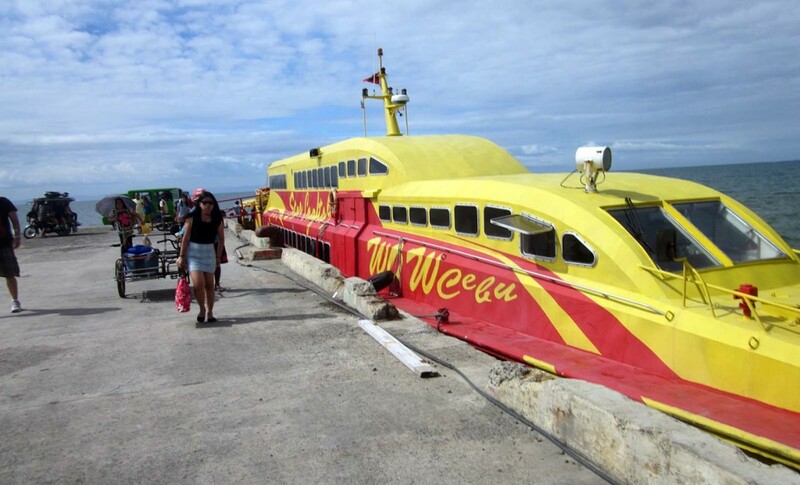 From an 8 am start at Moalboal, the whole trip took just over 7 hours. We would be spending the next 3 days in Pangangan, before heading further down south to Panglao and Loboc.